It is never a comfortable topic when talking about the cleanliness of a pool. We all want to simply dive in and enjoy the water. However, as a Certified Pool Operator® (CPO), you need to know where and how a pool gets contaminated in order to keep it pristine. Pool sanitation starts from the top down, as the surface of the pool is where the concentration of contamination exists. Let’s dive into how to properly clean a pool through surface water removal. The dirtiest part of a pool is the surface water. Debris, algae spores, the oils on a person’s skin and bodily discharges all collect on the surface of a pool’s water. Also, the level of disinfectant in a pool is the lowest at the surface. 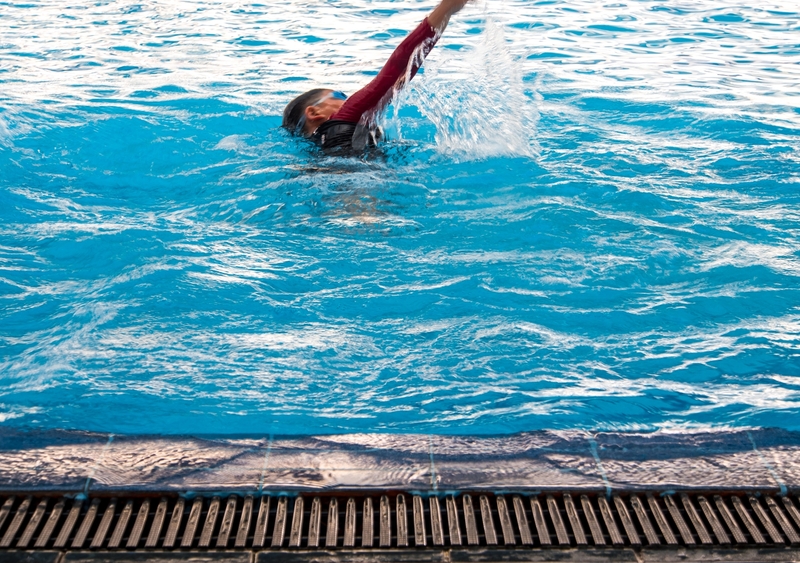 The lack of disinfectant poses many issues, being that a swimmer’s nose, ears, eyes and mouth have the greatest exposure to water at the surface of a pool. This is why there is a focus on surface water removal and circulation in pool operations. Circulating pool water is a great way to slow the formation of algae and reduce the concentration of unsanitary substances at the pool’s surface. Health departments often require that the surface water of a pool will have the highest percentage of circulation. Some codes require all of the circulation water must be removed from the surface. The most common practice is that 75% of the water is removed from the surface. Health codes may also say that the skimmer system of a pool or main drains must be able to handle 100% of the circulation flow. Gutters are trough-like designs that work to clean and circulate pool water through surface water removal. The top, contaminated layer of the pool water is removed and filtered. Older pools use what is called a scum gutter. These are narrow and can be recessed or partially open. Scum gutters have a low volume capacity and it can be difficult achieving even a 50% circulation drive. Newer pools are sometimes fitted with surge gutters. These have a much larger capacity and are typically recessed. Both surge and scum gutters require regular maintenance to stop the buildup of oils and debris. Both gutters also pose a safety issue, as some inexperienced swimmers may hold onto the gutter to get into the deep end. There must be a lifeguard monitoring these situations. Surge gutters can remove large amounts of water for filtration and chemical processes and can also be designed to suppress waves in competition pools. These gutters store a very large amount of water and provide surge control for many pool users. Another type of gutter is the rim-flow gutter. Rim-flow gutters are one foot wide and typically have a two inch slope from the water-edge tiles to where the outlet drains are located. There is very little storage capacity in these gutters, making it easy to overflow them. They have grating which acts as a skimmer that prevents large debris from entering the filter system. Rim-flow gutters are most often used on recreational pools. 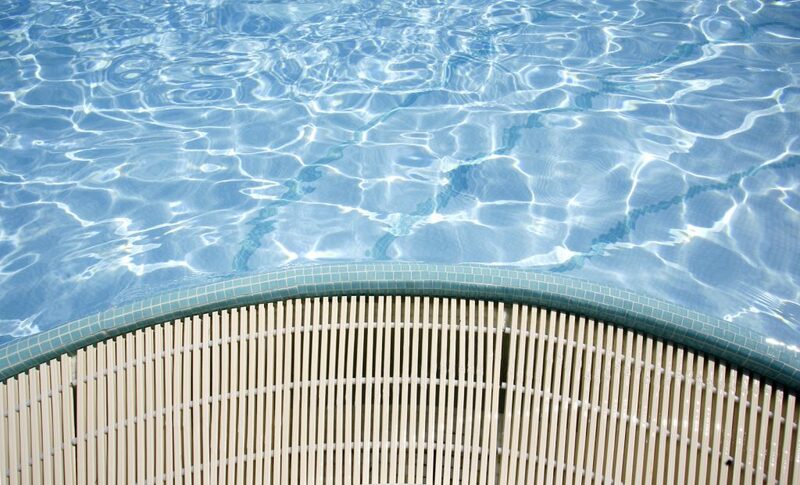 Another way to keep a pool sanitized is through surface water removal by surface skimmers. These are box-like openings in the pool wall, at the water’s surface. Pool codes and regulations typically require one skimmer for every 500 square feet of a pool’s surface area. Surface skimmers remove water from the surface of a pool and collect debris and contaminated water. 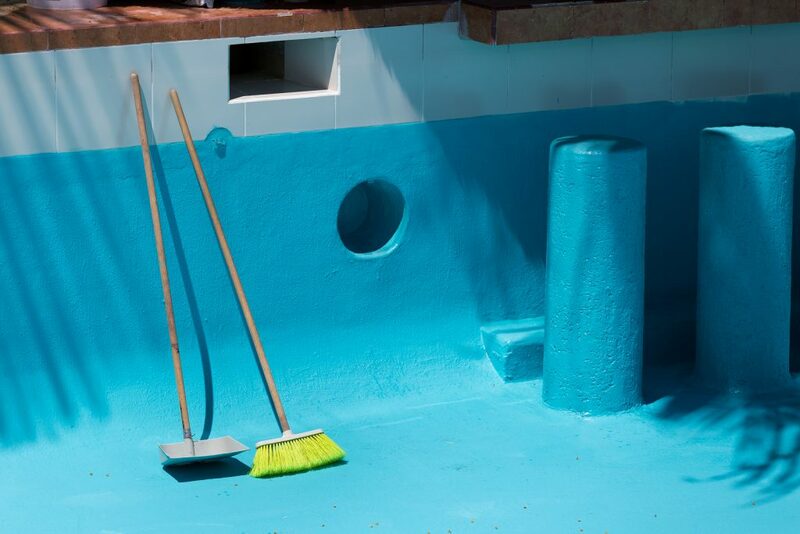 These are only the basics of keeping a pool clean. Go beyond learning about surface water removal by becoming a Certified Pool Operator (CPO®). The CPO® certification class is a great start to becoming a pool expert. Pool Operation Management’s award-winning CPO certification courses train you how to properly operate a swimming pool. Our two-day courses offer a wealth of information and training in everything from pool chemicals, to energy conservation to surface water removal. For the very best in CPO® certification courses, contact us today.